Ehrhart Griffin & Associates is an Omaha, Nebraska based corporation which provides professional engineering and land surveying services to its clients. Mark E. Ehrhart founded Ehrhart & Associates in 1986 which primarily performed land surveying services. The company was restructured in 1988 with Robert G. Griffin to form Ehrhart Griffin & Associates, Engineering, Planning and Land Surveying. As a highly experienced and diversified company, the firm is able to serve its client's needs in the areas of recreational, residential, commercial, retail and institutional site developments. The combined experience of the firm's management team exceeds 75 years of service to its clients in the Midwest region. The firm's civil engineering branch has a diversified range of experience including: site development, site grading, recreational facilities, pedestrian trail design, street layout and design, parking arrangements for on-grade and structural configurations, storm and sanitary sewer analysis and design, storm water drainage studies and detention facilities, potable water system design, soil erosion control for temporary and permanent installations, and miscellaneous utility relocations. The firm's surveying branch has broad experience in all facets of land surveying including private, commercial and governmental site developments, property subdivision, construction layout of hundreds of facilities, and major road and utility projects. Recognition of the unique problems of each assignment is the key element in the company's philosophy of service. 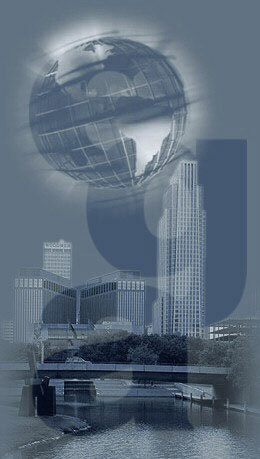 We also have offices in Council Bluffs, Iowa and Sioux Falls, South Dakota.